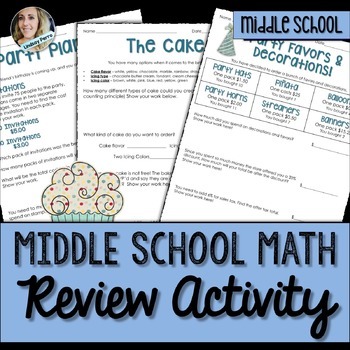 This decimal operations and percents activity is a fun way to have students review skills they've learned at the end of the year. 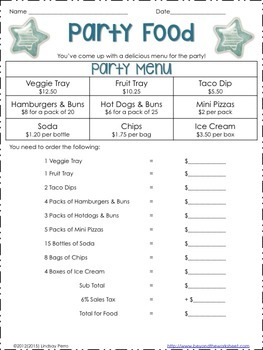 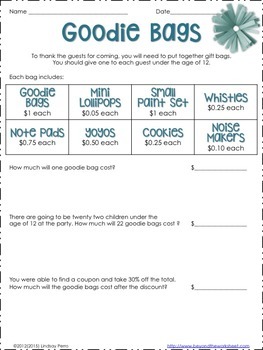 They will use their skills to determine the cost of planning a birthday party. 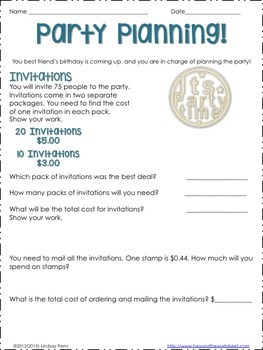 Skills necessary for success are addition and subtraction of decimals, and finding the percent of a number.